A callous thief with a history of stealing from loved ones took thousands of pounds worth of jewellery belonging to his girlfriend. Duncan Stirzaker then sold the jewellery to fund his addiction to cocaine and cannabis. His mother had been treasurer for a committee and he had previously stolen cheques from the committee chequebook for which he was on a suspended prison sentence at the time of the jewellery theft. Stirzaker, 30, of Windsor Place, Fleetwood, pleaded guilty to theft. Pam Smith, prosecuting, said Stirzaker and a young mum had been in a relationship for about five months and he had stayed at her Fleetwood home. In June, Stirzaker’s girlfriend looked in the bottom section of her jewellery box and found about £2,000 of it missing. When confronted by her and her parents, he denied stealing it, the court was told. Later, he messaged her and admitted taking it. He said he would get the jewellery back but he did not. The court heard Stirzaker had sold it for scrap for between £400 and £500 at a jeweller’s on the port’s Lord Street, and it was no longer recoverable. When interviewed, Stirzaker said he had broken his back in January. He said he had been lying to his girlfriend and taking cocaine and cannabis daily. David Charnley, defending, said his client had fallen into the depths of drug misuse at the time. He told the court that Stirzaker, who was full of remorse for what he had done, said he was now off drugs. Presiding magistrate at Blackpool Magistrates’ Court, Stuart Gay, told him: “There was a breach of trust. 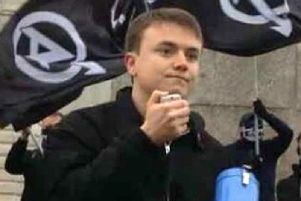 Stirzaker was bailed to appear for sentence at Preston Crown Court on September 21.